It's important to be able to communicate equally with people of different cultural backgrounds and have an ability to exercise leadership. In order to exercise such qualities, however, we need to understand our own culture and acquire the ability to talk to people from different cultural backgrounds. Since its founding, tne Faculty of Letters has consistently pursued and explored the mentality and spirit of the Japanese people that underlies the tradition and culture of Japan. The fundamentals for the students living in a new society are built on such studies. Shinto is the source of a uniquely Japanese sensitivity and aesthetic sense that has been passed down unbroken through the generations since time immemorial. The study of Shinto is nothing less than walking the paths that our ancestors created and learning the true essence of our country’s history, culture, and spirit. In the Department of Shinto, students learn about Shinto in one of the rare places that enables them to obtain the rank of Shinto priest during their four years of study. The faculty members in the department possess a wealth of experience and are very accomplished. One of the department’s distinguishing characteristics is that students can take advantage of its close proximity to the Jingu History Museum (Jingu Chokokan), which holds and displays many cultural properties; the Jingu Library, which holds important written materials related to Shinto; and Jingu, which is nearby the university campus. Graduates of the department are highly valued not only at Shinto shrines but also in the public and private sectors. The Department of Japanese Literature, which has more than 130 years of tradition and history, was born out of a desire to have students learn from the great minds of our ancestors, and the foundation of scholarship there is found in the interpretation and annotation of classical texts. In addition to Japanese literature and Japanese language, our full-time facultyʼs wide range of specializations include literature written in Classical Chinese, Bibliography and Library Science, and Calligraphy for a total of eleven fields of study. Our students are active outside of the classroom visiting the sites of masterpieces in research trips (fieldwork) and literary strolls, both of which are opportunities to deepen their understanding of Japanese literature as something that is rooted in the Japanese landscape. One characteristic of the department is that students receive individualized guidance in a homelike atmosphere through having lectures and seminars with small class sizes. Graduates of the department, who have gained fluency in beautiful Japanese—the ability to express themselves in appropriate Japanese, are heavily relied upon in society, where they are active in a large number of fields. With a two-course system, we have strengthened our education of students who aim to become Japanese language teachers. Students in this course will not only learn about literature from ancient times to the present but they will also study Classical Chinese, calligraphy, as well as the structure, expressions, and history of the Japanese language. The ability to accurately express themselves and correctly understand various kinds of texts are two skills that stand students in good stead when they conduct their job searches. 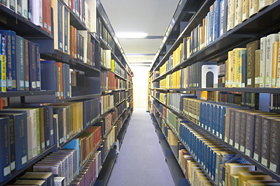 It is also possible for students to obtain a librarian certification. Students who aim to become Japanese language teachers in junior or senior high schools will acquire the practical ability to teach literature and language. It is possible to obtain a calligraphy license. We also help prepare students for the teacher employment exam. The Department of Japanese History, together with the Department of Japanese Literature, has a tradition stretching back to the opening of our university. Based on close readings of historical materials, we carry out the investigation of historical facts. We foster a method of study that develops historical theories from an unbiased, reliable historical perspective grounded in Japanese culture and traditions. As the name of our department suggests, we specialize in the study of the "nationʼs" (koku) "history" (shi), or Japanese history, and we have designed a curriculum that includes the study of East Asian history, which is deeply connected with Japan. Each time period, from the ancient to the modern, is represented in the specialties of our full-time faculty, and the members of our department provide individualized guidance for students. In particular, we devote much of our effort to training students in interpreting historical materials, and many of our graduates who have gained practical competence are active at the forefront of their professions in academia and education. They have contributed outstanding research to a large number of sub-fields including political, legal, socio-economic, intellectual, and religious history. In our global society, it is becoming increasingly important for us to use the spoken word, written word, and information technology as means of communication. It is essential to have the ability to express yourself in both Japanese and in international languages such as English, gather information, and communicate effectively. Then, what is communication? Of course, it refers to interactions among people. However, communication is also about humans mediating close interactions between people and local regions, the societies they contribute to, and the natural world around them. The spoken word, the written word, and information technology connect these interactions in complex ways, and these interactions shape society and culture in local regions. In the Department of Communication, these organic connections are understood by drawing upon several perspectives including psychology, English, information technology, cultural studies, history, religion, and regional studies in order to improve communication competency. Three courses specially designed for English (global education), psychology, and regional information technology are now offered. Students in this course acquire practical English with an aim to become junior or senior high school teachers, or to gain employment in firms where English is a necessity. Students review the foundations of English; study practical English in classes including British and American Literature, English Conversation, and Business English; and learn methods for speaking with non-Japanese about Shinto and Japanese culture. In addition, there is preparation done for TOEIC and other tests of English proficiency, because this course is designed to foster global citizens who can communicate in English. In this course, starting with the foundations of psychology and working up to its practical application, students acquire a wide range of knowledge as well as basic skills in psychological measurements. Through experiments and surveys, they gain a practical understanding of how the mind works. In addition, students learn to approach problems such as those found in communication with others in daily life and mental health in education and work settings, something which has become a topic of interest in recent years. Students in this course acquire skills for information communication technologies (ICT) and methods of analyzing data. By studying regional information that is familiar to them, students they learn ways of processing and analyzing data. They also use GIS (Geographical Information System), which includes graphs and charts, to express the results of their research. Students identify problems in local society, correctly obtain transmitted data and other information that would be helpful for life in society, and disseminate it.